If you’re enthusiastic about helping people achieve their goals, being a life coach could be for you. In today’s post, I outline a practical guide on how to become a personal life coach. Have you ever wanted to have a genuine, lasting impact on other people’s lives? Does helping someone achieve their targets sound like something that you can be doing long-term? Then perhaps being a life coach is a good career choice for you and a great way to monetize your blog, if you already have one. 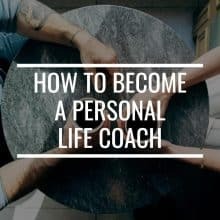 In today’s blog post, I discuss how to become a personal life coach: what it involves, where to start, and how to turn it into a profitable business, online as well as offline. Before anything else, you need to familiarize yourself with what a life coach is and what a life coach actually does. Put simply, a life coach uses a particular set of skills and knowledge to help people identify and achieve their personal or professional goals, improve the quality of their lives, and unleash their full potential for growth and development. Life coaches don’t have a one-size-fits-all approach when helping their clients. 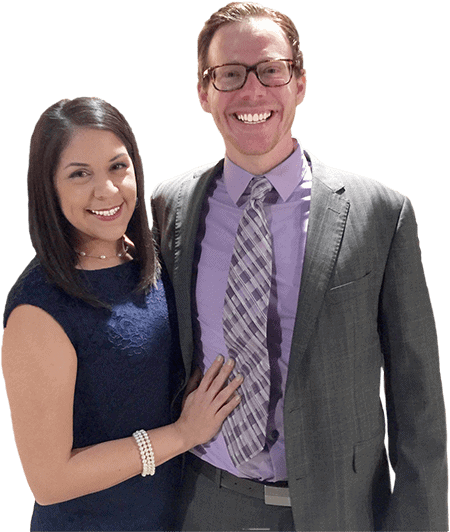 They treat their clients as individuals, each with their own specific needs and preferences, even when their goals are seemingly identical. What are the duties of a life coach? In general, personal life coaches help their clients clearly define their goals, create action plans to achieve these goals, and then hold them accountable to their action plans. Aside from goal-setting, life coaches also attempt to delve into the reasons why clients are having difficulty achieving their goals. They challenge their clients to answer difficult questions about themselves so that they can remove the roadblocks that prevent their success. Now that you have an idea of what being a life coach entails, you can now determine whether or not being a life coach is a right fit for you. Here are some questions you can ask yourself to gauge for yourself if you can become a personal life coach. Am I enthusiastic about helping my clients pursue their own solutions? You may be the coach, but it’s actually your clients who direct the coaching sessions so they can solve their own problems. As a life coach, you need to be able to identify what your clients want to accomplish and what factors are hindering them from doing so. Then, you have to be able to encourage your clients to embark on their own journey to self-discovery to be able to formulate their own strategies for success. Also, you need to be able to hold them accountable so they learn how to take responsibility for their own actions. Do I have the foundation needed to be a life coach? Being a good life coach is a combination of inherent qualities and learned skills. These go hand-in-hand; you can’t be successful without both. Here are some of the desirable traits that a life coach should ideally have. As I mentioned, having the traits of a life coach without the necessary skills is useless. Here are some of the competencies that you’ll need to learn to be a successful life coach. What can I offer that’s unique? 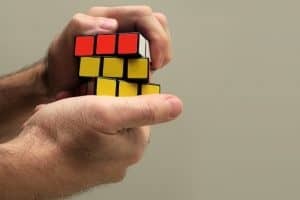 Everyone has their own unique knowledge, qualities, and experiences, which will shape how you’ll approach your clients’ struggles, and ultimately, what kind of life coach you’ll turn out to be. For instance, not too many people would have struggled with infertility, or even losing their own child. This will certainly give you a different perspective of grief from other life coaches who haven’t experienced such losses. This is not so you’d think yourself as superior; only for you to keep in mind that because of your distinct combination of knowledge and experience, your approach to coaching is going to be different from all other life coaches. Once you’re reasonably sure that being a life coach is for you, the next step is to explore possible niches that you can specialize in. Instead of simply calling yourself a life coach, consider narrowing down your field to attract a specific type of clients. Specializing in one field allows you to provide more value to your clients, as you’re familiar with the possible problems and solutions in that particular field. Plus, you’ll have less competition than you’d have if you were a general life coach. A lot of life coaching training programs have entire classes and lessons focused on a niche. However, if no niches seem appealing to you as of the moment, bear in mind that you can finish a general training program first and then take a specialized training program later on. On the other hand, if two or more related niches interest you, note that you can take a specialized training program for one niche first then take as many specialized training programs as you want. This may sound counterintuitive to selecting a niche, but having a unique mix of specialties, especially if they’re related, can also be a selling point to potential clients. For instance, being a work-life balance coach and a fitness coach fits well together, as a healthy mind and healthy body both contribute to a person’s overall wellness. Technically, you don’t need to be formally trained or certified to be a personal life coach. But undergoing a structured training program, especially one that’s accredited by a professional coaching organization, gives you an edge. For one thing, you’re bound by an ethical guideline to provide the best-quality coaching you can possibly give. Plus, it takes a lot of discipline to finish a training program; much more to do refresher training courses every year. 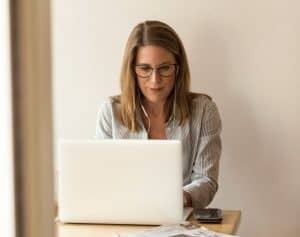 Constantly being updated with the latest in coaching techniques is another advantage you’ll have over other life coaches who don’t undergo training. Of course, it also lends a feeling of legitimacy to your business, not only to your clients but to yourself. Having confidence in yourself helps your clients have confidence in you as well. Make sure it’s recognized by a reputable coaching association. There are probably many coaching associations, but none as recognizable as the ICF. The International Coach Federation (ICF) offers the only internationally recognized, independent credentialing program for coach practitioners. The advantage of enrolling in an ICF-accredited program is that the high standards of excellence that ICF maintains means that they only accredit the best programs, and you’re assured to get your money’s worth. 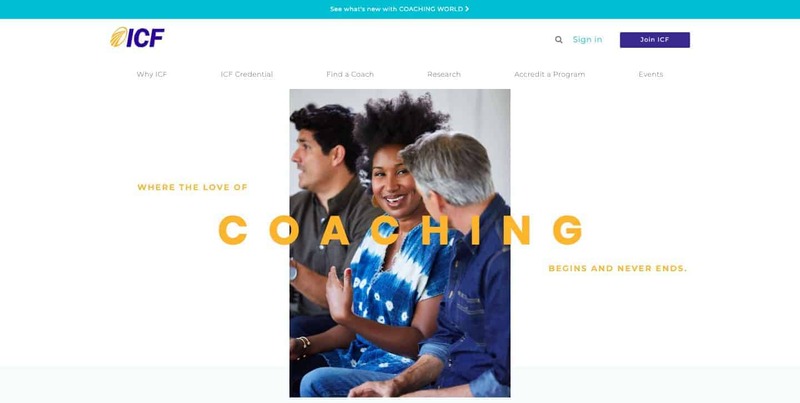 To illustrate, each ICF Accredited Coach Training Program (ACTP) must offer at least 125 hours of coach skills training, competency and code of ethics training, 6 coaching sessions with clients observed by an experienced coach, a comprehensive final exam, and must be taught by ICF-credentialed trainers. Aside from the ICF, you can also look for coaching certification programs offered by colleges and universities. The standards may be slightly different, but coaching certifications from universities such as Columbia or Georgetown can be pretty impressive. Consider pros and cons of face-to-face vs distance learning. Chances are you’ll undergo distance learning through online learning and videos. But some programs are offered as a combination of in-person and distance learning, while others offer only in-person classes. Aside from how convenient it would be for you, also consider the niche you want to specialize in and how best you’ll be able to learn the lessons. Factor in the cost of training. We can deny it or pretend it doesn’t matter much, but the fact is that training programs cost money. Some providers can charge you up to $5,000, but plenty of accredited courses are in the $1,000 to $3,000 range. That’s way less than $5,000, but that’s still a lot of money to shell out, especially if you’re just starting. You also need to look at other costs aside from the tuition listed, as well as any hidden costs. Are all the modules included in the list price, or will you have to purchase some modules separately? Does the tuition include payment of your mentor coach who’ll oversee your coaching sessions, or will you have to pay them on your own? How about books, supplies, and other materials? Examining the costs closely will prevent a nasty surprise when you check your bank account balance. Look for feedback from other people who’ve gone through the training programs. Talking to past graduates of the training programs you’re interested in gives you a point of view of the program that might not be available on their website or brochure. Some questions you might want to ask them are about what they liked most and what they liked least about the program, and why. You can also try to find out whether they ended up using their certification, and why or why not, because you want to establish how useful the training program really is. It’s also wise to ask how much support they received from the trainers and mentors during the program as well as afterwards. You may or may not need the additional support, but it’s nice to know that it’s available should you need it. The next step is to establish your business so you can start getting clients and making money. Here are the tasks that you need to accomplish to be able to set up your business. Starting a business isn’t something you do on a whim; you need to have a plan and a clear direction of where you want the business to be in the future. Here’s what you need to put together to come up with a clear, tangible business plan. Now that you have a business plan, you can then do some accounting and determine how much you need to get started. 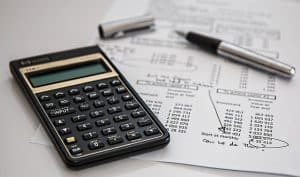 As you go through the rest of the steps in setting up your business, your projected costs can change, but you can probably expect to spend around $2,000 to $6,000 in the first 12 to 18 months. Unless you have this kind of money at hand, prepare to save up for this kind of capital. One way you can supplement your income is to start the website first, write content related to your intended niche (which also helps you gain plenty of knowledge on the subject), and monetize it through affiliate marketing or other means. This way, once you do have enough to pursue being a personal life coach, then you’d have a solid foundation in terms of a website and a steady following. Maybe you’ll even have some existing email subscribers, which will definitely help in your future marketing efforts. The structure of your business is important, as it affects how much taxes you pay, the paperwork you need to file, and your personal liability. It’s also important to get this right the first time, because while you can change this in the future, it may have some undesired consequences, especially in terms of taxes. Here are the two most common business structures that individual life coaches opt for. You’re automatically considered a sole proprietor if you do business activities but don’t register as any other type of business. This is a good choice for you if you’re only just starting and want to test your business idea first before you go all in and call it a formal business. The problem with sole proprietorship is that it doesn’t produce a separate business entity. That is, your business assets and liabilities aren’t separate from your personal assets and liabilities. Thus, if your business becomes bankrupt, or if you accumulate debt, you can be personally held liable. 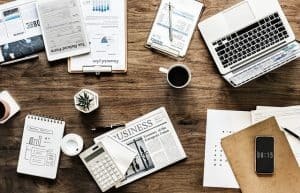 An LLC is a more formal business structure than a sole proprietorship but is simpler than a corporation in terms of paperwork, organization, and taxes. 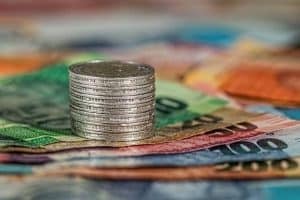 The main advantage of registering your business as an LLC is that it protects your personal assets, such as your personal savings accounts, car, house, or any other personal asset, from risk in case your LLC faces bankruptcy or if you ever find yourself sued (which I sincerely hope doesn’t happen to you). Having an LLC also adds credibility to your coaching business, letting your clients as well as potential partners know that you’re serious about your coaching venture. Plus, you get to begin building credit under your business name, helping you get access to loans and different lines of credit, in case you need them for future expansion of your business. Whether you register your business as a sole proprietor or an LLC, opening up a separate bank account for your coaching business is the best way to go. Setting up payment methods and portals is much simpler when everything is under the business name. Plus, it’s more impressive when clients pay directly to your business bank account. Moreover, you get to protect your personal account details in case of any untoward incidents such as security breaches. Life coaches are held to a professional standard, and if your advice somehow lands one of your clients in a bad situation, it’s not unthinkable that they could sue you over advice that you gave and cite professional negligence. Getting liability insurance ensures that your legal fees and any settlement or damages will be covered in case you do get sued. Producing a marketing plan is essential in your business, because this is how you get clients. No clients means no one to coach, which means no business and no income. 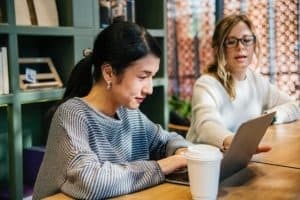 Effective marketing strategies you can incorporate in your plan include email marketing, targeted social media campaigns, guest posting, and paid ads. Make sure to tailor your marketing message to the audience you’re targeting. If you haven’t already started building your online presence through your website and social media, get on that immediately. The more readers and followers you have, the higher the chances that at least some of them will be interested in your coaching services. Plan how you’ll offer your life coaching services. Part of being a life coach is building rapport with your clients so that you can establish trust and allow them to be more open, and building rapport with clients is always easier if the interaction is a face-to-face encounter. The good thing with face-to-face sessions is that you can be completely flexible. If you want to rent an office to see clients, you can certainly do that. However, you can also meet at your client’s workplace, a restaurant or coffee shop, or even at a park to have a coaching session while walking (if you’re going to be a fitness coach then this is probably your plan anyway). However, this is not always possible. You may have your own reasons for not being able to go out of your office or home to meet clients, or your clients may have their own reasons. Also, you probably want to expand your client base to more than your local neighborhood. In this scenario, coaching by videoconferencing is the next best thing. With videoconferencing, you can still get a read on body language and facial expressions, albeit slightly limited to what can be picked up by the camera. Still, being able to see and talk to each other even when you’re on different parts of the world is a great advantage. Yet another way to administer coaching is through telephone. 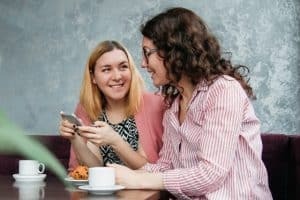 It’s really not as desirable as the first two ways of coaching, but telephone coaching can be quite effective in the hands of a great life coach. Plus, again, it’s flexible enough to allow you to speak with clients who are far away or otherwise can’t come to the phone. Draft your coaching packages and coaching agreements. Based on how you want to work with your clients, you can now put together coaching packages, as well as draft coaching contracts and terms and conditions. When putting coaching packages together, never include open-ended packages with no end date. It’s extremely difficult to promise results when there isn’t an exact deadline. It’s best to hire a lawyer to help you put together the contracts and all other documents that have legalese on them. This is just to make sure that you’re not going to get sued by a client for “making false promises” or “misrepresentation” merely because of ambiguous phrasing in your contracts. If you have the aptitude and the skill for it, becoming a personal life coach can be a profitable as well as personally rewarding endeavor. Offering a coaching service is also a good way to monetize an existing website. Here’s a recap of the steps described above. Here are a couple more reminders before you start working to be a personal life coach. Use your strengths to build up other income streams aside from coaching, so that even if you’re having a lean month or even a couple of months. 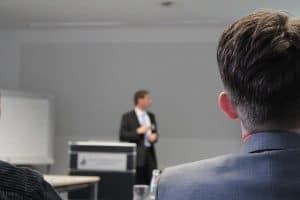 For instance, if you’re good at public speaking, you can hold live webinars of mini-coaching sessions where your audience will have to pay to access. This gives them a taste of what a coaching session with you will be like and at the same time give you at least some income in a short period of time. Self-publication is another possible income stream that you can tap, especially if you’ve been coaching for a while and have an idea of what your target audience likes and dislikes, as well as what kind of advice they’re likely to seek and listen to. Other possible income streams are consulting, training, facilitation, mentoring, counseling, live speaking engagements, and workshops. All of us are mere humans, each with our own individual struggles and accomplishments. People won’t be coming to you because you’re a superior human; they’re going to come to you because of YOU and your unique achievements. They’re not going to come to you for you to tell them what to do; they need help to help themselves. 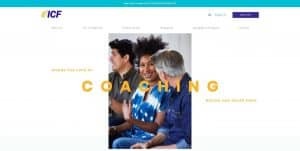 The bonus is that through coaching, you yourself become a better individual, help you address your own challenges, and give you more confidence to coach your next clients. Are you thinking of being a personal life coach? Did my step-by-step guide help you in your decision making process? Share your thoughts in the comments!